By Yubaraj Ghimire (16 April 2018) – Back home after “managing” a hostile Delhi, things should have moved in the right direction for Prime Minister K P Oli, who seems to be in a hurry to establish himself as the Lee Kuan Yew of Nepal. Over the months, as he focused his energies on returning to power, Oli was mostly talking about a prosperous and developed Nepal as his goal. A landlocked country owning its own flag-bearing ship and a railway network spread across the country, he would say, was how he envisioned in the next two years. A bilateral understanding in Delhi for inland water and railway connectivity with Nepal should have made him happy. But less than a week later, Oli is confronted with the reality of politics and that democracy requires him to surrender or compromise on many issues. The much talked about unification of the Oli-led Communist Party of Nepal-UML and the Communist Party of Nepal (Maoist Centre) has not only been deferred yet again till April 22, but growing differences between the two sides may even jeopardise the unity move. The unification, delayed or denied, will definitely clip the wings of Oli; the merger would have given him a near two-thirds majority in Parliament. 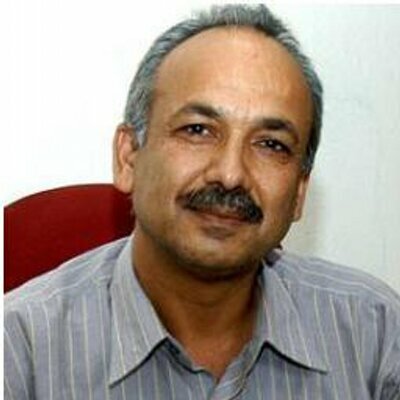 A captive supreme court, a demoralised and drastically weakened opposition in the Nepali Congress, the most powerful organs of the state including the intelligence and revenue investigation departments reporting to him and, of course, the merger of the two CPN parties, should have allowed him to dominate the political scene. Home Minister Ram Bahadur Thapa Badal, a senior Maoist leader, had resented Oli unilaterally “imposing” a secretary (Home) without consulting him. Badal and his party stood firm and got their choices appointed as chiefs of Nepal Police and the Armed Police Force. The Maoists are also trying to bring the state intelligence department under the home ministry. The differences between the two parties may ultimately hit the proposed merger. Maoist chief Pushpa Kamal Dahal has stated that the unification must take place in a spirit of equality, preserving the self respect of both parties, with each having an equal presence in the committees at all levels. 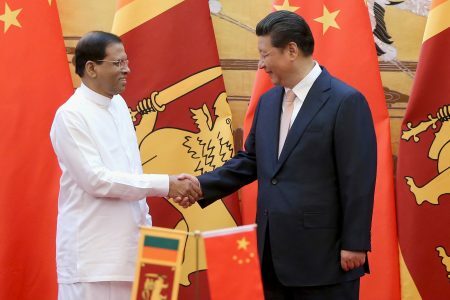 Oli also seems to be in a hurry to undertake a trip to Beijing — he has commited to a policy of “equal distance” towards both the country’s neighbours. Soon after his return from Delhi, he had got into the game of balancing between the two large neighbours. First, he inaugurated the solar energy panel in the Singha durbar complex that houses the PMO and other ministries, jointly with the Chinese ambassador, Yo Hong. The following day he visited the 496-MW upper Tamakoshi hydro project in the company of Ambassador Yo. 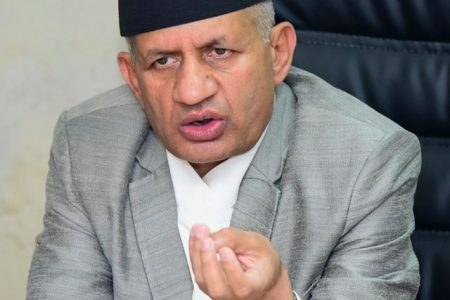 He has now dispatched his foreign minister, Pradip Gyawali, to Beijing on Monday, ostensibly to finalise the prime minister’s visit there. The visit will reveal how Oli intends to balance the two giant neighbours, who have promised support to Nepal, without allowing their mutual rivalry to come in the way. But the domestic scene has become no less challenging. Last week, Acharya Srinivas, a sant with a sizeable following among the Hindu sect he represents, was fired at by unknown persons at his residence within a temple precinct in eastern Nepal. “I feel terrorised and scared,” said Bollywood actress Manisha Koirala, after she paid a visit to the hospital. A delegation of the sant’s followers met the prime minister to demand the arrest of the guilty. They returned angry and disappointed. Oli reportedly asked them why were they backing a rotten institution like the monarchy. The sant’s followers felt slighted since the acharya has been calling for the restoration of Nepal’s status as a “Hindu Kingdom”. Home Minister Badal has said he was aware of a situation where supporters of different faiths and ethnicities could clash and that “certain forces” intended to “engineer such a situation”. Oli too seem to share the sentiment. When he spoke at a Nepal army academy on Thursday, he asked the security forces to remain alert to defeat forces of terrorism, ethnic militancy and extremists, operating from within.